I've never really liked vegetables all that much. I can usually find something I don't like about them, for example: I hate the slimy crunch of onions, the mushy seediness of tomatoes, the stringiness of string beans, the blah-tasticness of green peas, the ick-factor of brussel sprouts, and the snap-smush bite into a bell pepper. When EK decided to come along, I decided that I needed to at least try to think about eating in a healthier way. That fell to the wayside when she a newborn. Who has time to think about eating with a newborn and a full time, demanding job? I definitely lost all of my baby weight, but I certainly don't recommend doing it the way I did it. Starvation equals a tired, grumpy momma. Fast forward to last Sunday. The starvation point has passed and I have managed to eat a few meals thanks to my wonderful husband.If you remember, I went to a baby shower for my best friend. It was complete with cake, punch, mints, and party sandwiches. They weren't just any sandwich though- they were made with cucumber. 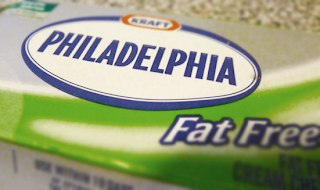 And cream cheese. Fat. Free. Cream. Cheese. I got the recipe (cream cheese and cucumbers) from the hostess, and I have been in sandwich Heaven since. 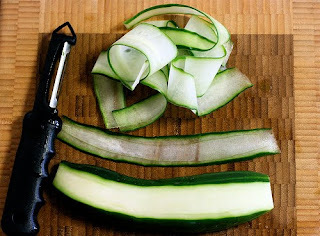 Peel cucumber into thin slices using your vegetable peeler. 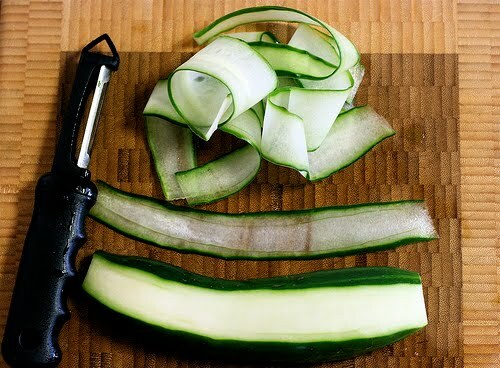 I realize that this may not be the healthiest recipe of all, and that cucumber is probably 99.5% water. It sure does beat a burger and fries, though! Top that sandwich with some dill and you'll be even happier. Thanks for linking up! OH my goodness, those sandwiches look amazing. 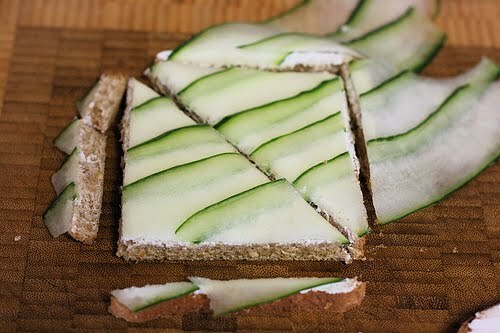 I must admit, I loved eating tiny sandwiches at tea parties when I was younger and this inspired me to get in the kitchen tomorrow and try to make my own. And this time, I'll actually be able to eat more then 1/4 of a sandwich like they serve at tea parties! I cooked something, and it was actually good. Celebrating Home Giveaway at Ourlifeblog.net! Happy (almost) 9 months, EK! Today, I lost my sunglasses.